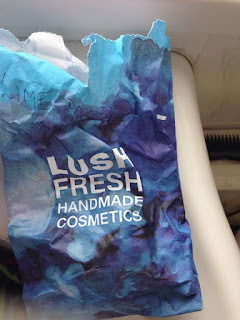 So I know that I haven't done anything Lush based for a few weeks so I thought I would come back with the Lush series via an Oxford Street exclusive. I may stop the videos and just do posts for my lush series. Would that be a good idea? Let me know in the comments below! 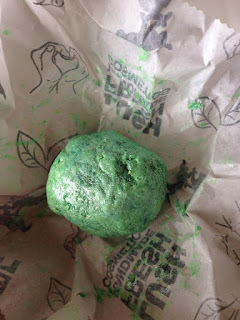 Today I am going to be talking about the Lime Pastille Bath Oil which you can only get via going to the Oxford Street store. You may also be able to get it on the website but I'm not entirely sure. This oil is like the other oils in the fact that they consist of an Jojoba, Shea Butter and Coconut Oil base which gives the oil a very luxurious and creamy feel when you first touch it. This also gives softening and nourishing properties to the bath when it is dropped into the water. The product also contains Lime Oil which obviously gives the oil its primary lime scent. The product also contains Lemon Oil which makes the product more citrus based which enhances the lime scent. 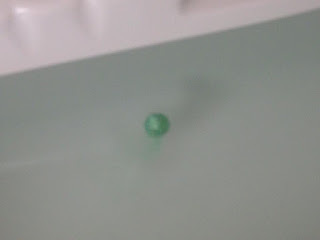 Unlike a ballistic (bath bomb) a bath oil doesn't give any surprises to the bath such as confetti or anything like that but instead gives a nourishing feel to the bath. They do bath melts at most stores but these bath oils from Oxford St are different due to them being more compact, cheaper and more vibrant which makes them a great alternative to a ballistic if you want something a bit more soothing to the skin. When you first drop this ball into water it doesn't really do much which may seem a bit disappointing but give it time and you will see the effects. The oil leaks out of the product and slowly melts into the water giving the bath a great distinct product. As this kinda takes a while, I would either get some products such as face masks or whatnot ready whilst this is happening. As well as the colour melting into the water, the scent erupts from the bath giving a strong scent to the bathroom. The scent and colour latch onto the water which then sinks into your skin whilst you bathe. The lime scent is slightly strong but its not to the point where it is overwhelming which is great for when you want something which will motivate you but not to the point where it is quite nauseating. The Lime works quite well with the Lemon Oil to create a bright zesty scent which will make you want to get up within the morning and do things especially when it is cold. There is also a lustre-y sugary coating which makes it look like a fruit pastille which some people will want to eat but its not edible. I think from what I remember makes a slightly shimmer effect within the water but not too much to make you not want to buy it again. Overall I would give this a 9/10 mainly because of it being an Ox St exclusive and the size of it. The scent is amazing and uplifting and it nourishes the skin really well but I wouldn't go all the way to London just to buy another, It is a great product to have something in the morning and not use a body butter afterwards which may save on time and a bit of money. The colour is so PopArt inspired and just makes you look at it and watch where the swirls have incorporated into the water and just think about things. I would buy it again if it was on the website or at the local Lush. I hope that you have enjoyed this Diary Of A Meowing Lushie post and I hope to see you again for another blog post. Have you used this proudct before? Let me know in the comments below. I hope to see you next time for another blog post!